IN AUGUST: THE TRADITIONAL EVENT CALLED “SAGRA DELLA SOPRESSA” The main touristic and culinary event of the year in Valli del Pasubio, a town between Lake Garda and Venice. It promotes Sopressa, a local salami prepared with cured raw pork following the handed-down old recipes. During the fair lots of events and activities and much more besides. Valli del Pasubio is nestled at the foot of Mount Pasubio, sacred Mount to our country, that can be reached through several tracks and paths. The most important is “Strada delle 52 gallerie”, a spectacular track with 52 galleries built in record time by Italian Military forces during the First World War. The Centenary of the beginning of the war will be celebrated through several events right in 2015. Valli del Pasubio is known for its renowned mineral waters and especially for “sopressa”, a typically local hand-prepared salami with cured raw pork. Its recipe is jealously kept by local pork-butchers, called “norcini”. “Sopressa” will be celebrated during the yearly fair, called “Sagra della Sopressa”, that celebrates in 2015 its 48th edition from the 7th to the 16th of August. The height of this traditional fair is the competition among local pork-butchers to choose the best sopressa. “Polenta (a mais cream) e sopressa” is of course the typical dish offered during the fair, with many other local specialities. Several secondary activities take place during the fair: thematic exhibits, handcraft markets, open-air shows, a fishing competition in Leogra stream, a beach volley competition, evening dances and in the last night a group bingo-event before the closing fireworks. Moreover, during the fair guides of the Alpine Reserve allow visitors to observe chamois, birds of prey and other wild animals in their own habitats. In the majestic Church, the yearly Concert allows appreciating the Serassi organ, dated 1832, with other instruments and choirs. Valli del Pasubio hosts the interesting “Museum of Ancient Trades” at Theater Saint Sebastiano and a still working hydraulic sawmill in contrada Seghetta district, along the so-called “Via dell’acqua”, a historical-naturalistic path regarding the flow of water. At any time of year, volunteers of the local association Pro Loco organize amazing walks through the woods and hamlets (called contrade) to get in contact with our nature and history. 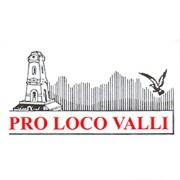 Pro Loco Valli del Pasubio, based in Valli del Pasubio (Vicenza – Italy, via Bruno Brandellero 47), is a voluntary association founded in 1981. This non-profit Association works for the benefit of the local community. Valli del Pasubio is a small mountain town between Lake Garda and Venice including the whole Leogra valley, from the name of the stream that divides the area. The town extends for 50 square kilometres, from height 350 mt of the centre to the 2232- mt- heightest peak of Mount Pasubio. The town includes 2 hamlets, Staro and Sant’Antonio, 8 neightbourhoods and 130 “contrade” – each small group of houses scattered over the hillsides. Valli del Pasubio is charmingly encircled by Mount Sengio Alto, Mount Pasubio and Mount Novegno. In the mountain area you can find lots of paths with facilities, rock faces to be climbed and many safe tracks to reach alpine huts. The most important track is “Strada delle 52 gallerie”, a spectacular route with 52 galleries built on Mount Pasubio by Italian Military forces during the First World War. Mortal remains of more than 5000 soldiers who fought on Mount Pasubio lie in “Sacello Ossario del Pasubio”, a war memorial on the top of Bellavista Hill. At lower height many easy-to-walk lanes and paths wind up the hill wooded of chestnuts and beeches, connecting several contrade (see above). In the center of Valli del Pasubio the stately Church dedicated to Mary’s motherhood dominates the square. Other three Churches could be seen on the top of the surrounding hills, one for each main neightbourhood: Saint Geltrude, Saint Carlo and Saint Sebastiano. Then you can visit the “Museo degli antichi mestieri”, a permanent exhibition at Theater Saint Sebastiano, placed in the high street, where you can appreciate machinery, tools and utensils of the main traditional activities and trades of our valley in past centuries (housewife, farmer, woodman, winegrower, blacksmith, carpenter, shoemaker, pork-butchers, dairyman). In the same street the local open-air market takes place every Sunday morning. From the town center you can also walk along the so-called “Via dell’acqua”, a historical-naturalistic path where you can discover how vital and useful water was and still is for our town. Along the route, a still working hydraulic sawmill could be visited in contrada Seghetta.